Irina VII and her crew invite you to join them on a journey back in time! 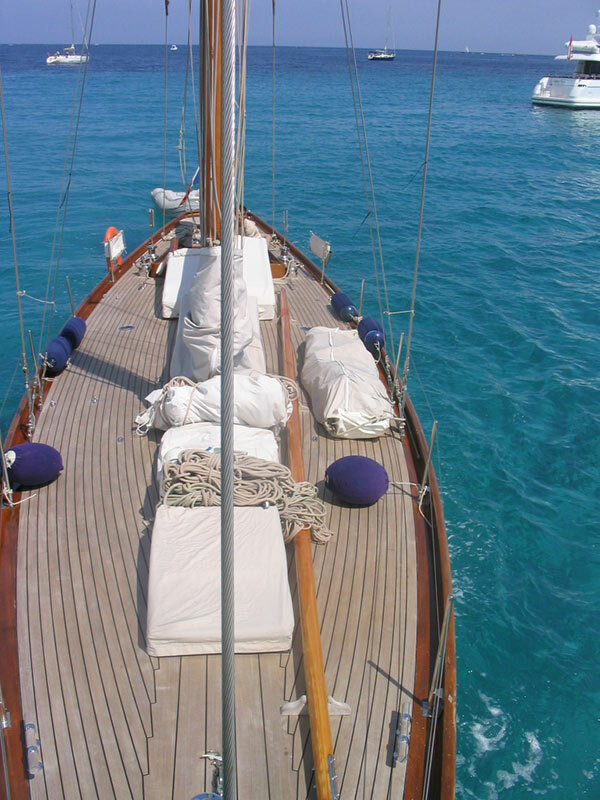 On-board of this beautiful classic yacht you can celebrate your personal event, spend an amazing day, a weekend or a whole week. On day cruises up to 12 persons can be hosted on-board of Irina VII, for trips longer than a day the limit is 6 persons. The crew consists of a skipper and on request of a service person who will take care of catering. You can feel a long bygone time when walking on the wooden planks of this stunning yacht, you can breathe the freshness of the sea, and in some sailing areas Irina may even take you to a little bay where you can meet dolphins. If you are looking for more adrenelin and love the excitement and speed of a race, you can participate on Irina VII in various classic regatta. On this yacht up to 10 persons can actively join in the regatta race and navigation along with the crew. 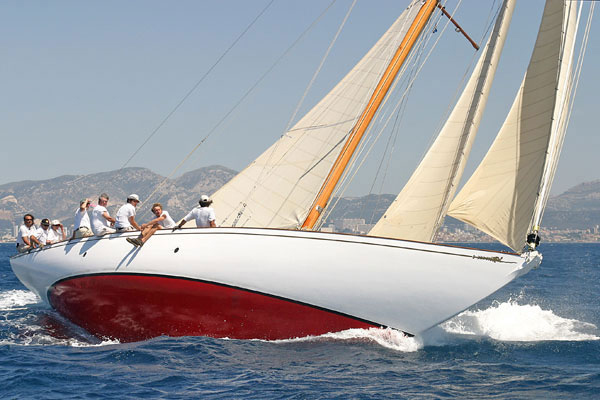 This classic yacht was constructed by Aldred Mylne in 1934 and was built in the same year by William Fife in Fairlie, Scotland, for the Glasgow shipowner Major JG Allan of Helensburgh. 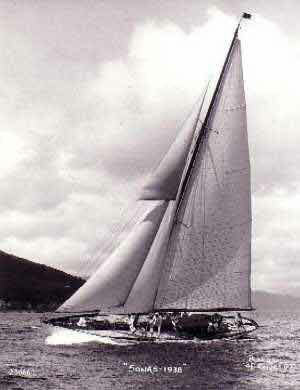 She is rounder than the earlier 12mR yachts and the hull of the ship resembles the later classic ocean racers by Sparkman & Stephens. The yacht was first baptized to the name of Sonas which is the Gallic word for fortune. In 1947, James C. Guthrie reduced the sail area by rebuilding the yacht to a Bermuda slup. 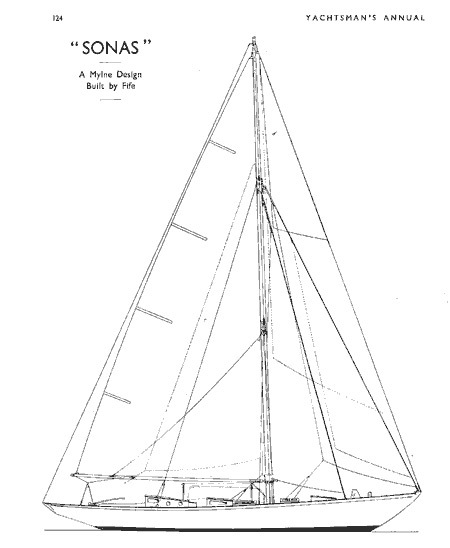 Five years later, in 1952, Sonas was sold to Norway where she was renamed to Irina VII by her new owner Georg of Erpecom of the Bergen's Yacht Club. For quite a few years she was flagship of this club. During the 60s, Irina VII was sailed by Finn Engelsen who was a prominent sailer of this time. From 1965 to 1985 the yacht stayed in a Club in Devon, in Southwest England, where she was sailed intensively and then bought by a couple named Potts. In 2002, Irina VII was relocated to France where she got an extensive refit at the shipyard AMEBOIS. It took more than 12,000 hours of work to restore the yacht and her interior to her original condition of 1934. 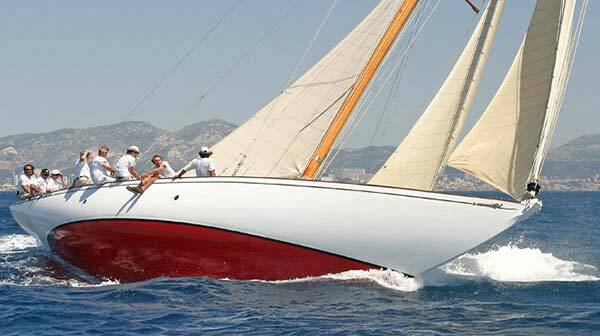 Since 2003, Irina VII is owned and taken care of by loving and competent hands and participates in various regatta. Her main sailing area now is the Western Mediterranean. You can book SY Irina VII for day cruises, short or week trips, or for various regatta and events in the Western Mediterranean. If you are interested in experiencing the beauty and speed of Irina VII, please contact us and let us know about your plans and wishes and we will get back to you with an offer that suits your needs. 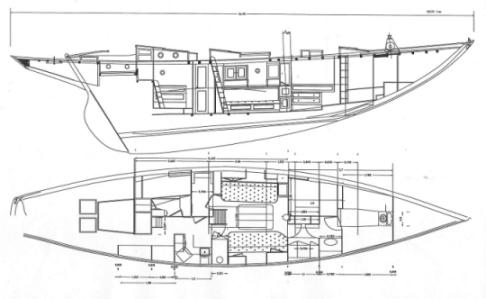 Interested in Classic Yacht Irina VII?